TheLorry.Com officially went live on the 7th of September 2014. Our internal customer validation target for this MVP was to achieve 10 paying customers within one month. We achieved 10 paying customers within 10 days. It all started when I was tasked to create and head a new courier unit, focusing on international parcel logistics at my previous job. Over the course of few weeks doing research, I quickly learned that this market was intensely competitive and we were going against mammoths such as PosLaju, DHL and TNT. 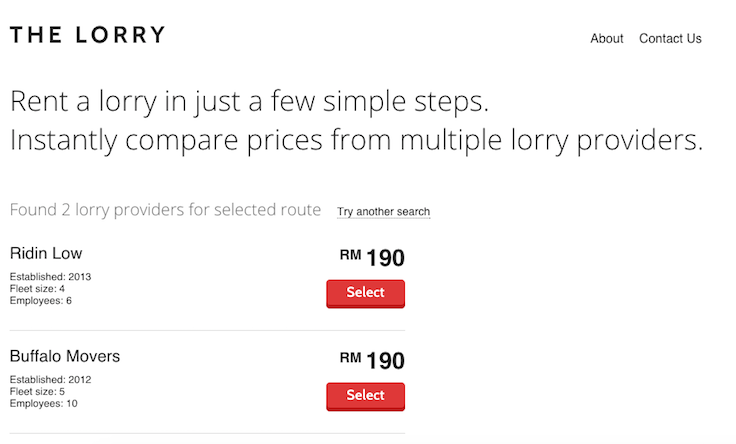 I soon began to experiment with the lorry rental market — just to test what sort of response I’d get with a simple advertisement on majalah.com. Advertisement posted on 12th March 2013. Btw, there’s no such thing as an 8-tonner. LOL. From March 2013 when I posted the ad until January 2014 when I left this job, I received calls almost everyday enquiring about “lori sewa”. I did a few transactions just based on this ad and made some money brokering deals. The courier unit failed (I wasn’t exposed to lean startup principles back then) but this whole experience made me realise that there was a sizeable market for lorry transportation. I was on to something. I thought to myself, if customers were attracted to a simple ad such as above, why not create a clean, user-friendly and professional website to serve this market? 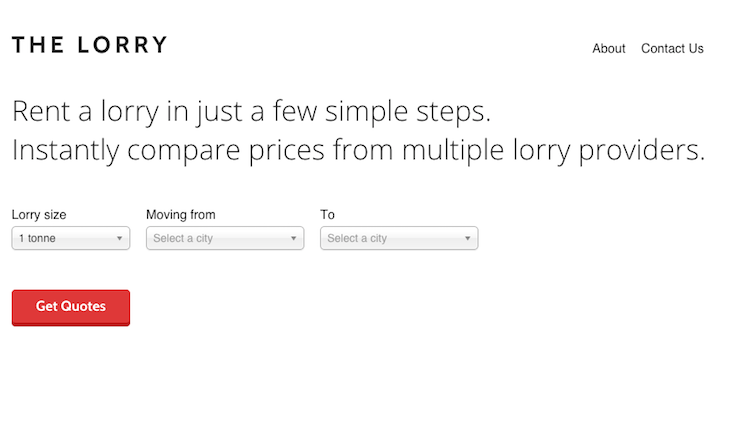 The idea was simple: to take the enquiry and booking processes for lorry transportation — all online. My partner and I researched companies in the U.S that are of the same mold and found unpakt.com. An inventory feature that allows unpakt.com to give users exact quotes based on the dimension of their items. 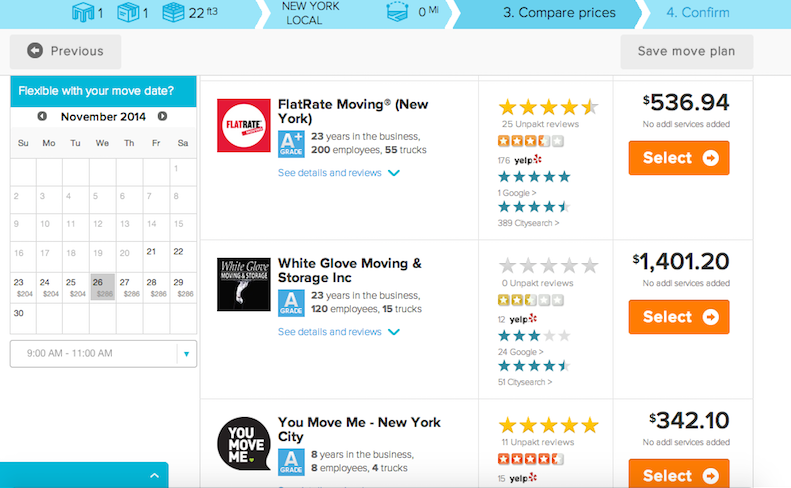 Compare different providers based on price, reviews and profile. We were attracted to unpakt.com’s idea of giving customers the option to choose providers of their choice based on price, reviews and company profile variables. We took some of the best practices (read: copied) from unpakt.com and began formulating the process flow and built a wireframe for our own website. 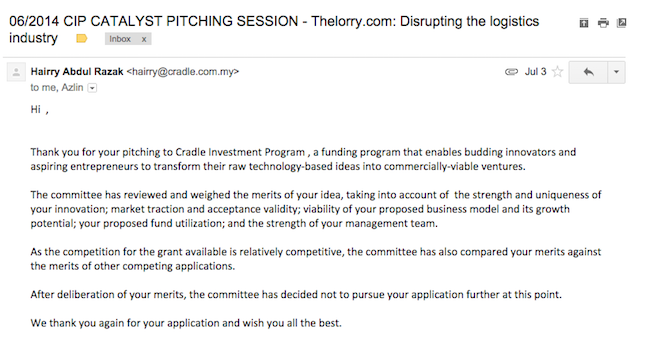 Acing the Cradle pitch would be a great validation of our idea (besides having funding and support). We filled in the application and got a slot in the June pitch. 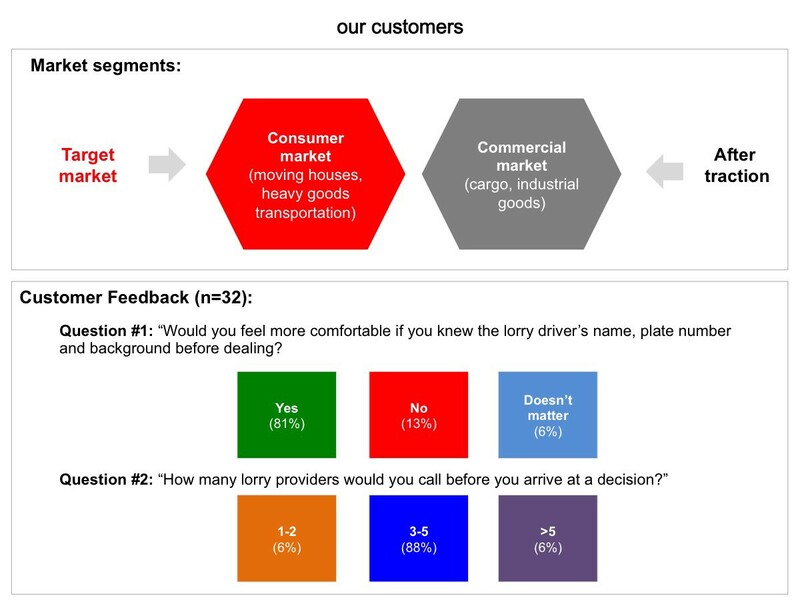 Our target market and customer validation interview results. And the rest is history. We didn’t do enough research to counter the competitor question. We failed to proceed to the next round. The Cradle experience dampened our spirits a little. We contemplated on whether to proceed with this idea. After much thought, we figured we were rejected because they had funded another similiar idea. Since our idea of executing is slightly different, we pushed on. Applying lean startup methodologies, we set out to build the MVP as fast and as cheap as possible with the goal to learn as much as possible. A little hustling was needed in understanding the pricing variables and SOP. To do this, we cold called over 10 providers from mudah.my and majalah.com and noted down common questions asked by the provider before a quote could be provided. Our cold-calling operation worked decently. We managed to get a few meetings and through asking questions about their pricing and SOPs, we got a pretty good idea on how to build our MVP. 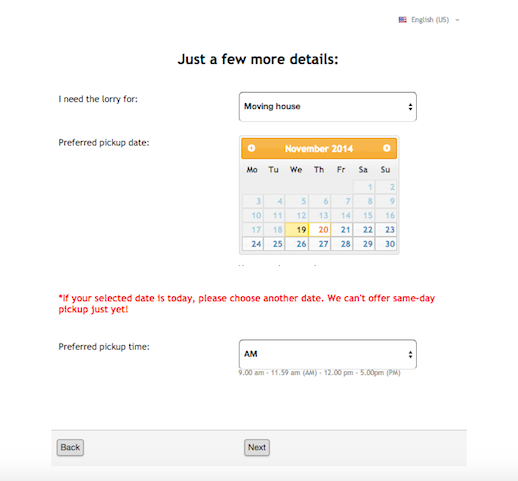 Version 0.1: A lengthy form with multiple questions that eventually gave users quotes. We ran Google Ads to promote traffic to our MVP. The ad performed well, attracting around 4–5% CTR. However, we converted a grand total of 0 customer from this exercise. After a quick post-mortem, we hypothesized that perhaps the whole process was too complicated. Quotes could only be obtained at the 3rd step. We eliminated a few unrelated variables and moved quotation at the front. 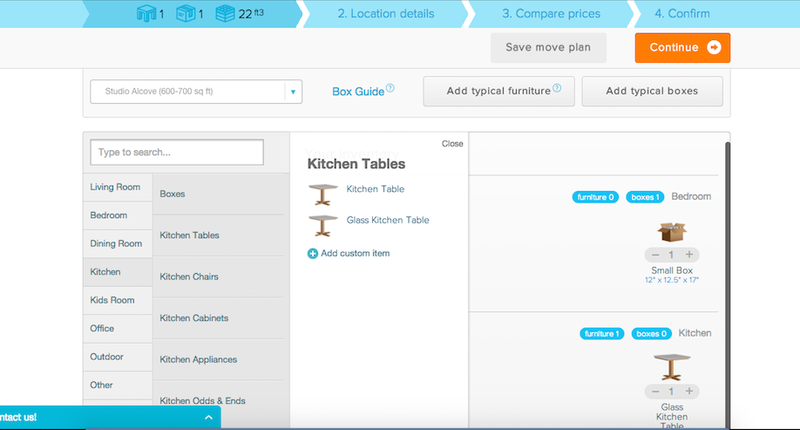 Version 0.2: A refined, simpler form to capture user’s details. 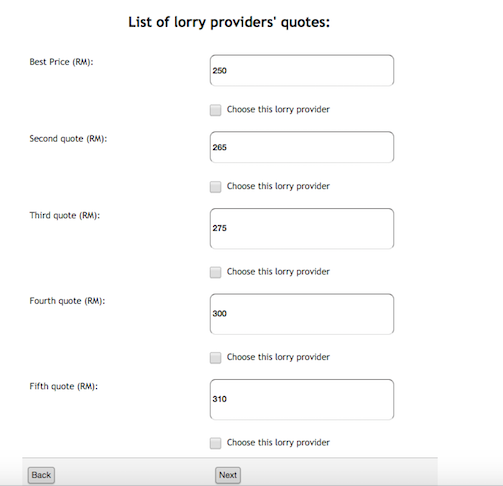 A drop-down allows users to choose “Small”, “Medium” or “Large” lorry. Price would immediately be calculated. 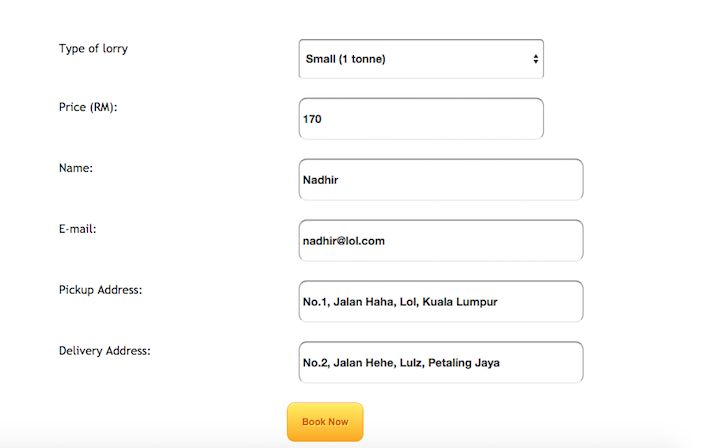 The above iteration generated a few enquiries, but users still weren’t interested in using the form. Version 0.3. Only 3 variables needed to provide quotes to users. One booking. Perhaps we are finally doing something right. It was an Iranian customer looking to move house from a condo in Kota Damansara to another condo in Kota Damansara. We took this small early success and built upon it. 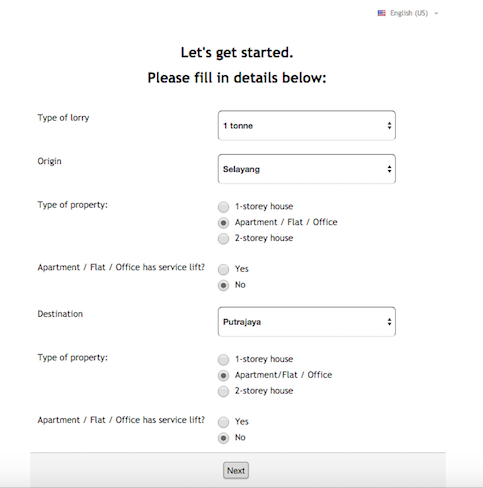 After some cosmetic improvements, we finally had a version 1.0 for TheLorry.Com. After acquiring our 10th customer on our 10th day of launch, we knew we had to grow our customer base fast before we can call this a viable business. 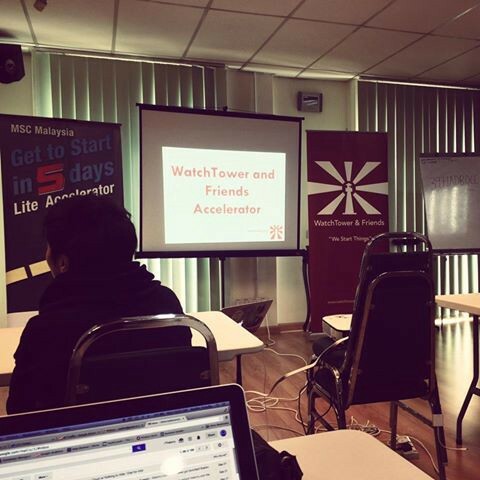 We applied and got accepted into a lite accelerator programme — Get To Start in 5 Days (GTS5) by WatchTower & Friends in search for mentorship, learning and funding. 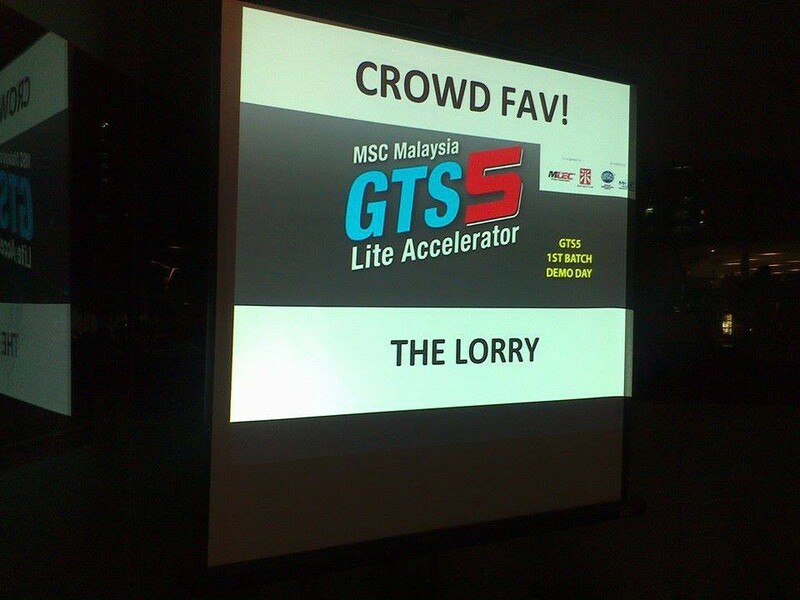 A demo day session was held in front of prominent spectators and The Lorry was voted as the crowd favourite. Since then, we have been reviewed by Amanz and Sirap Limau. We also signed partnership deals with RumahSewa.Com and JualJual.My. Our story is far, far from over. Much work needs to be done before we become self-sustainable as a business. 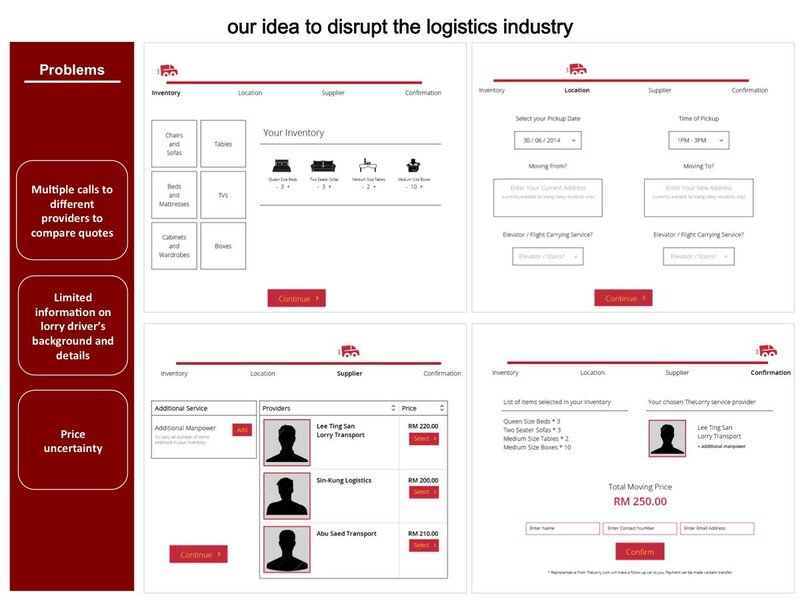 We will be relentless in our pursuit of our goal — to become the No.1 website Malaysians go to for lorry transportation. Hope we do make it there. Excited for the challenges ahead!